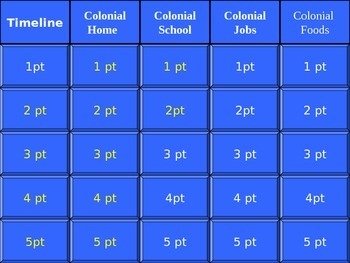 This game covers Colonial homes, schooling, jobs and common foods. As well as questions referring to the timeline of colonial establishments! Great way to enrich a unit on Colonial America.